When will be Alone: A Deeper Cut next episode air date? Is Alone: A Deeper Cut renewed or cancelled? Where to countdown Alone: A Deeper Cut air dates? Is Alone: A Deeper Cut worth watching? Alone: A Deeper Cut is a series that airs extended enhanced episodes with extra information and unseen footage from the show "Alone", that also airs on the History Channel. One participant thrives on the island, while the others struggle to improve their situation; one man races to find the salmon run before it ends, and another undertakes an epic journey; a survivalist tries to combat nature's fury. (Enhanced.) After a month in the unrelenting bush, nature and seclusion are proving difficult to withstand. While some push themselves to ensure long-term survival, others question their ability to endure. Enhanced episode. The final four battle mental fatigue and physical exhaustion, while one faces stiff competition for fish and another's miscalculation may mean missing the salmon run. 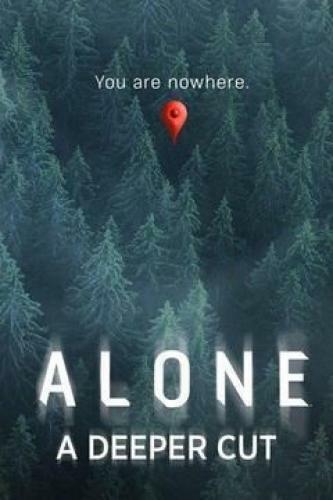 Alone: A Deeper Cut next episode air date provides TVMaze for you. EpisoDate.com is your TV show guide to Countdown Alone: A Deeper Cut Episode Air Dates and to stay in touch with Alone: A Deeper Cut next episode Air Date and your others favorite TV Shows. Add the shows you like to a "Watchlist" and let the site take it from there.